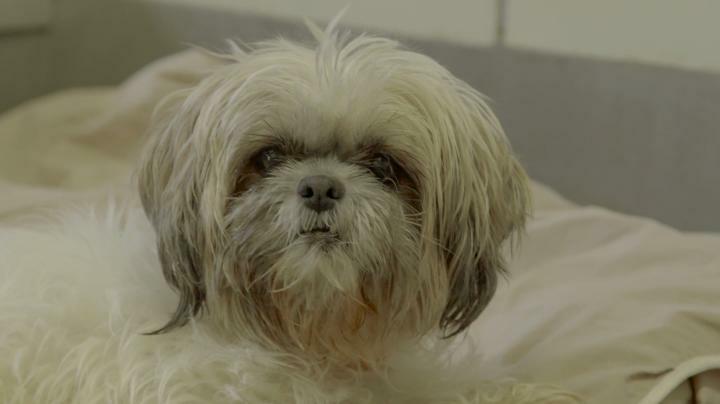 In honor of Senior Pet Adoption Month, here’s a true senior pet adoption success story! Tito is a 15 year-old Chihuahua with multiple health issues who was taken in as a foster. Tito and his “brother” Frank soon became inseparable. Tito had a collapsed trachea and cannot use his back legs. Frank helped nurse Tito through his medical care and totes him around on walks. Frank is a rescued Pit Bull, found emaciated and living in a junkyard. 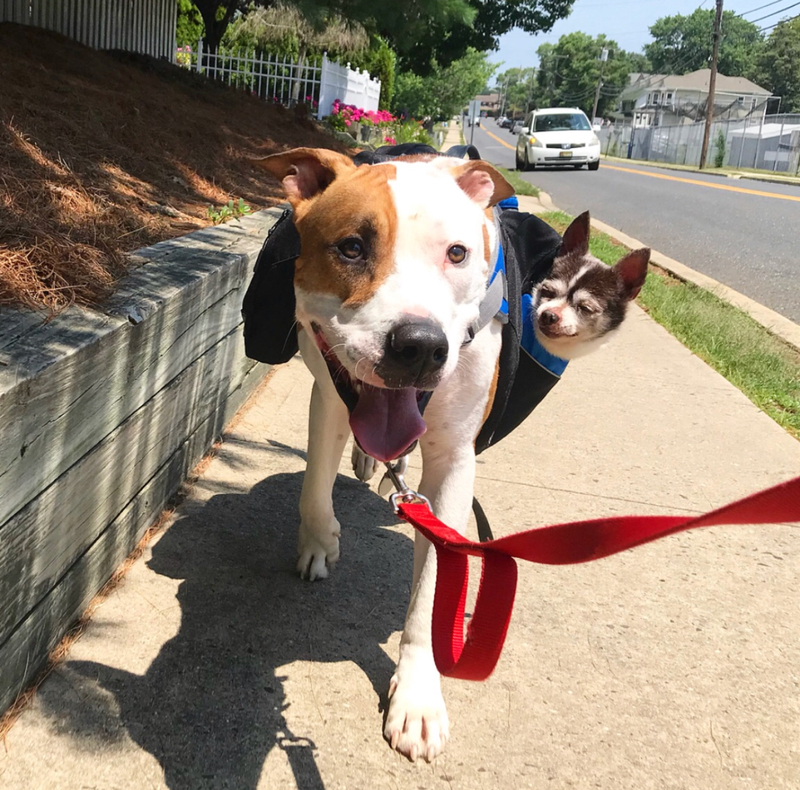 His early trauma has led to anxiety issues, but feisty little Tito is helping Frank every bit as much as Frank is helping him! 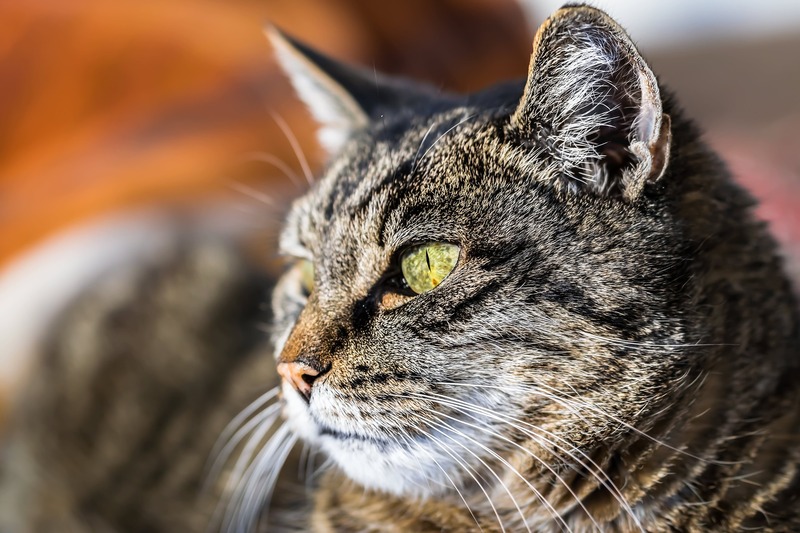 November is Adopt a Senior Pet Month, a great time for animal welfare organizations to raise awareness about adopting homeless dogs and cats that are 7 years of age and older. 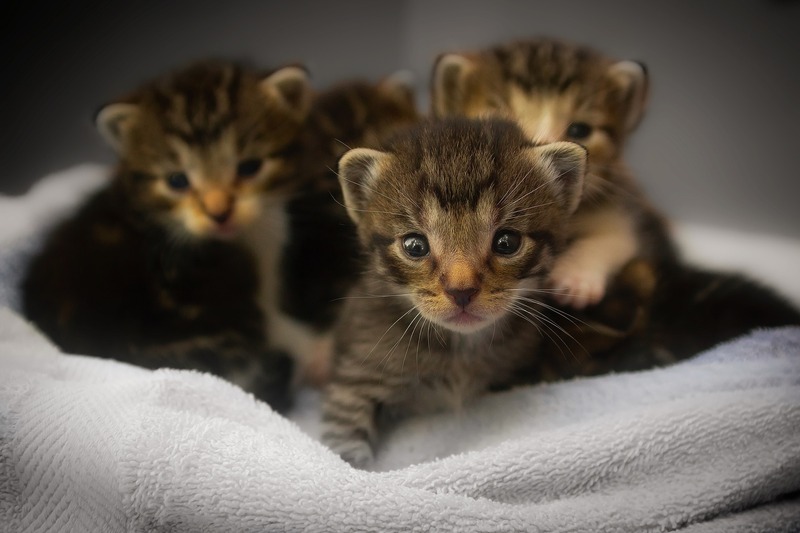 As part of this awareness campaign, Animal Planet has created a series of heartwarming videos about special pet adoption stories called “Mission Adoptable.” Be sure to check out their website for all the adorable videos. Here are just a couple of our favorites! 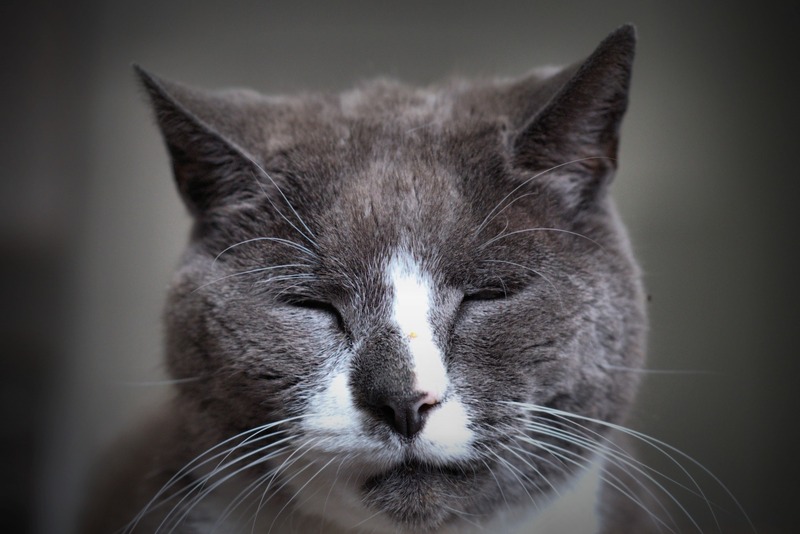 Many pet health experts consider cats to be “senior” after the age of 7. 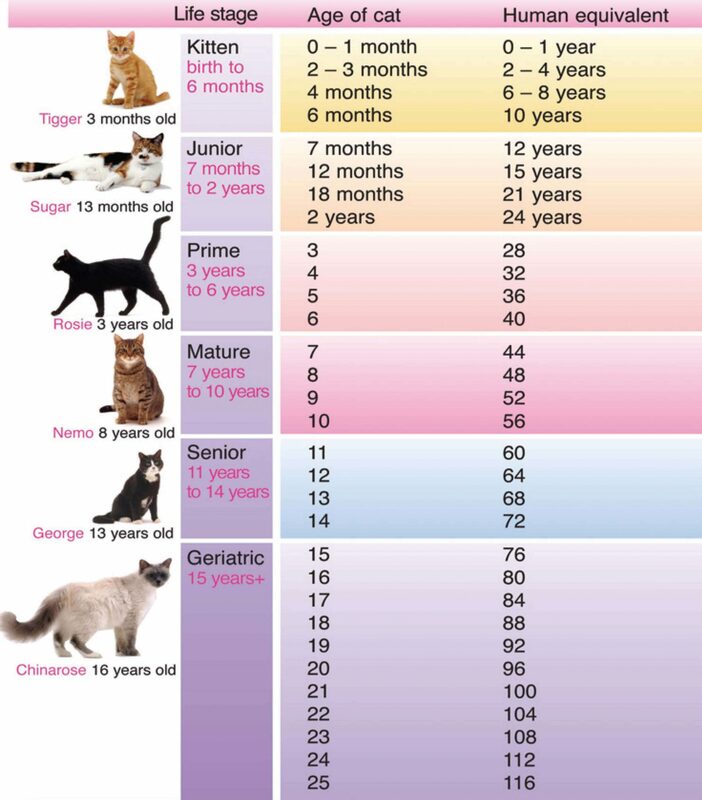 If your cat has reached the age of 20, then he or she is definitely in the senior range. But what about a 32-year old cat? That’s roughly the equivalent of 144 human years! 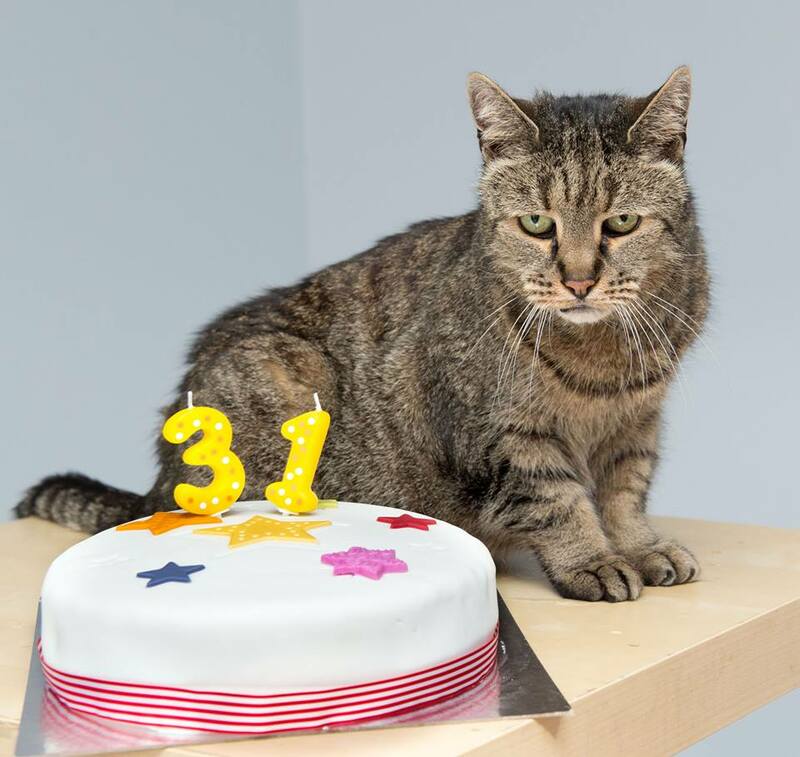 One British cat named Nutmeg reached the ripe old age of 32 before passing on in late August. According to Nutmeg’s owners, interviewed in a recent People Magazine article, this sweet guy enjoyed very robust health for most of his long life. He lost most of his teeth and did suffer a stroke back in 2015, but he recovered and went on to live two more years. His owners, a couple with no children, considered Nutmeg to be their child. “We both feel like our hearts have been ripped out. He was our little boy,” they said. 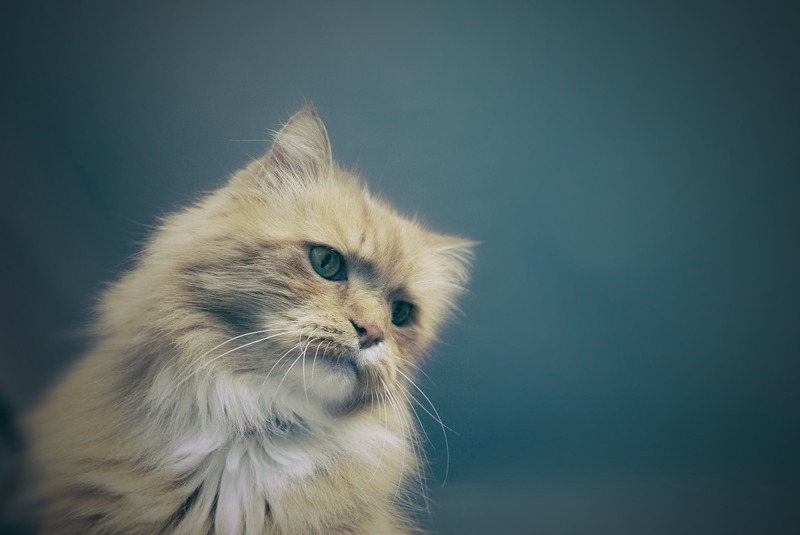 Anyone who’s ever lost a beloved pet, regardless of age, knows that feeling. Here’s a video of Nutmeg from back in 2016. 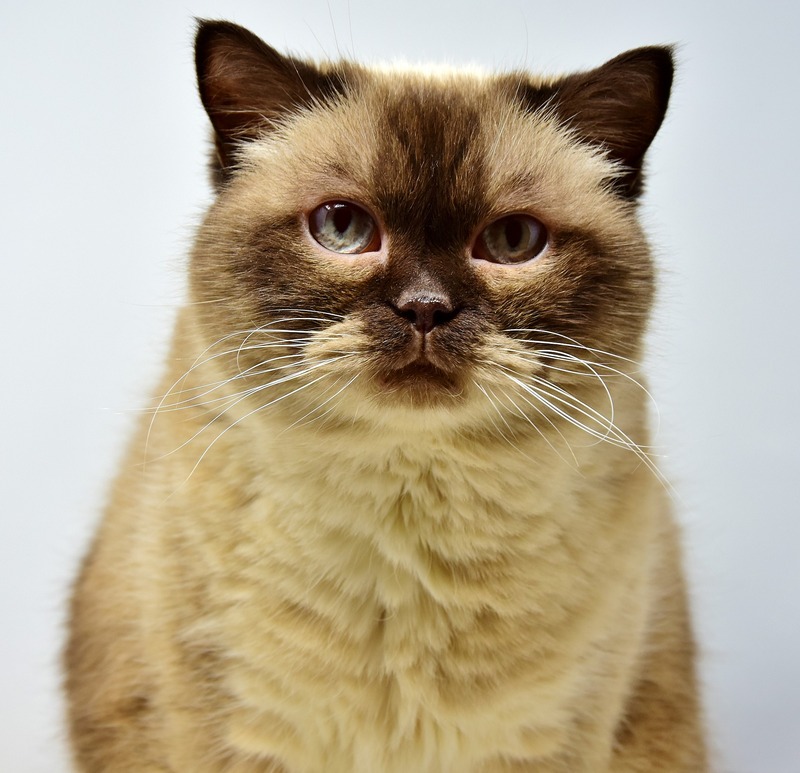 His owner lovingly refers to him as a bit of a grumpy grandpa, but it’s obvious that he was a real sweetheart! 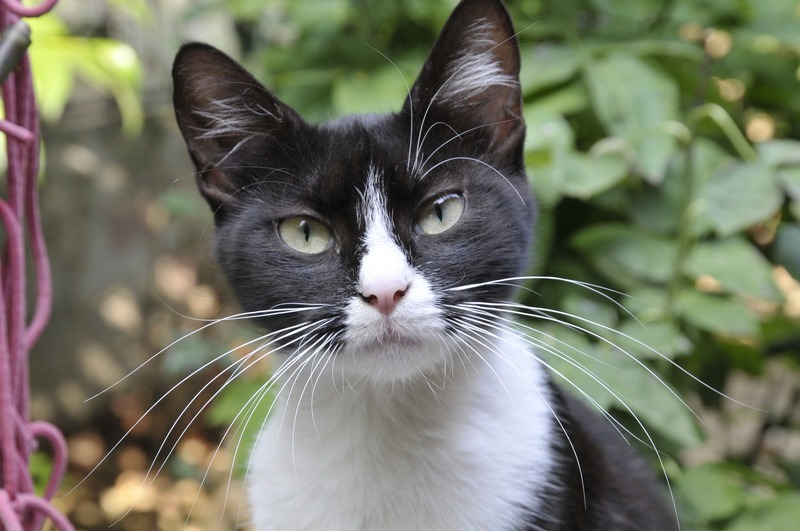 Image of Nutmeg from Westway Veterinary Group Facebook page.